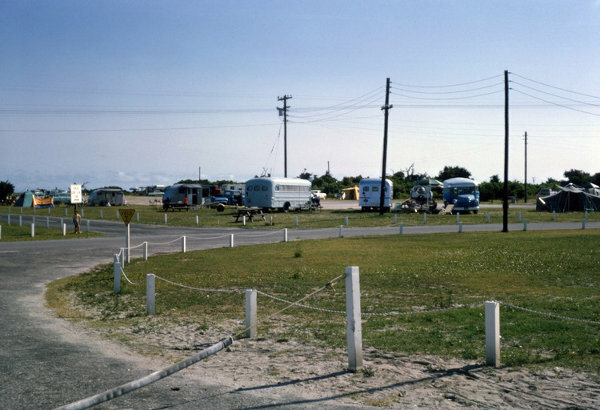 In the 1960s and 1970s, the National Park Service maintained a campground in what is now the public parking lot near the Swan Quarter and Cedar Island ferry terminal. This picture was taken from the edge of the parking area directly across the street from the current NPS Visitor Center. The Ocracoke Preservation Museum is located at the entrance to this lot.